Zinc is the second most abundant trace mineral in the body. 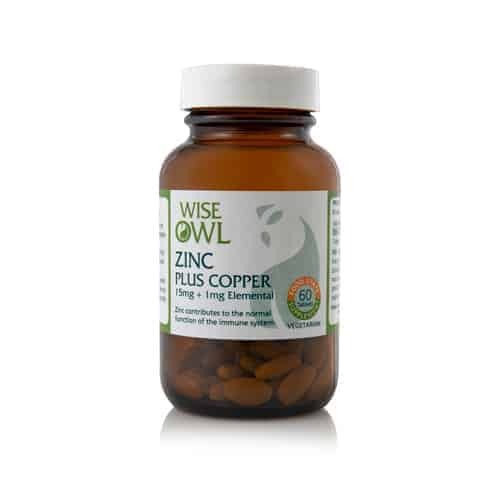 Wise Owl’s zinc & copper supplement is presented to the body in a natural food state, which is gentle & well absorbed. Zinc is the second most abundant trace mineral in the body, being present in all tissues. In a world where our soil is between 55 & 85% less nutrient dense than it was 60 years ago, zinc supplements can have a noticeably beneficial effect on your day to day health. Wise Owl's Zinc supplement is combined with copper to prevent a possible risk of copper deficiency during long-term usage, as zinc & copper compete for the same absorption sites. Our Zinc & Copper supplement is presented to the body in a food base; a native & friendly bacterial inhabitant of the human GI tract. Thus it is a gentle & well absorbed supplement complete with amino acids & nutrient carriers from the associated culture. Zinc is the second most abundant trace mineral in the body, being present in all tissues. Zinc has a wide variety of functions including growth and human development, the healthy functioning of the immune system, and the maintenance of healthy skin, hair, nails and bone. Zinc is also related to the normal absorption and actions of vitamins, especially the B-complex. Food State Zinc and Copper is presented to the body in a food base of ‘lactobacillus bulgaricus’, a native and friendly bacterial inhabitant of the human GI tract. Thus it is a gentle and well absorbed supplement complete with amino acids and nutrient carriers from the associated culture. Food State Zinc supplement is combined with copper to prevent a possible risk of copper deficiency during long-term usage. Zinc and copper compete for the same absorption sites, and an excess of Zinc can ultimately cause a copper deficiency. This supplement is free from live yeast. 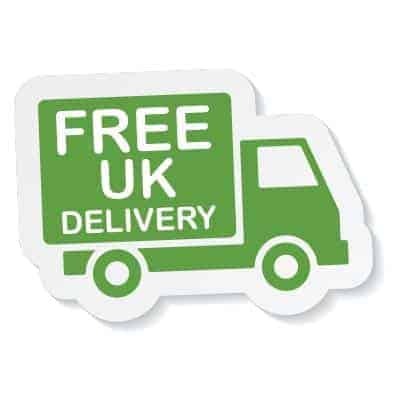 Wise Owl's Food State products really can be classed as a truly 'natural' supplement. Recommended Intake: 1 tablet daily, or take as directed by a practitioner. Product Ingredients: Lactobacillus bulgaricus providing zinc and copper; vegetable stearic acid, tablet coating: vegetable cellulose. Product Non-Actives: Vegetable cellulose, vegetable stearic acid.